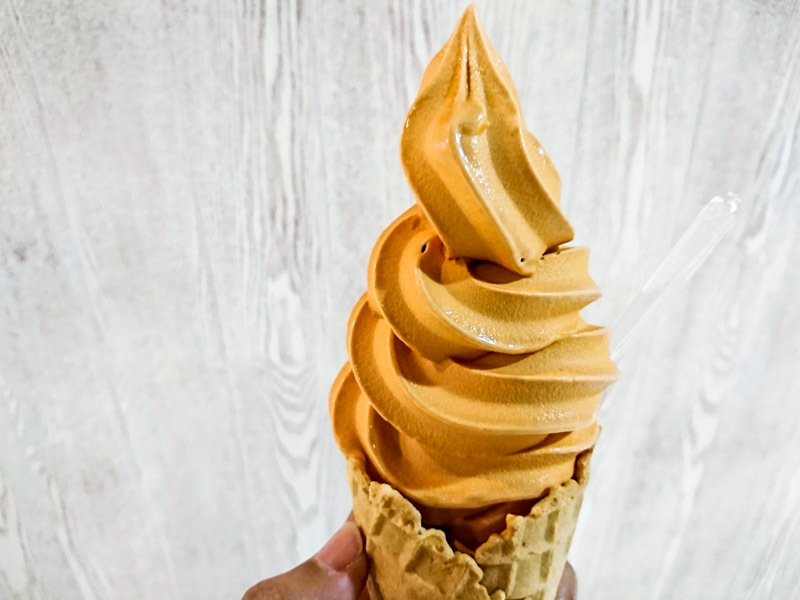 Thailand’s Cha Tra Mue, or Number One Tea (literally translated), has launched a new Thai milk tea soft serve ice cream at the outlets in Terminal 21 Shopping Mall and Don Mueang Airport in Bangkok. This brand has been around for more than six decades, and the tea is known for its strong flavour without being overly sweet. At 45 baht (approximately S$1.80), it’s definitely a lot cheaper than other Thai milk tea ice creams around. It hasn’t been announced for release in Singapore yet, but since we already have a Cha Tra Mue store here, I’m keeping my fingers crossed for it! In the meantime, you know what to do when you’re in BKK.